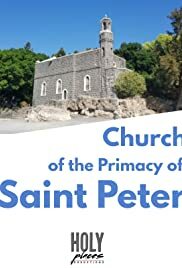 In the north of Israel, in Tabgha, on the shore of Lake Kineret, southwest of the Church of Beatitude, is the church of the Primacy of St. Peter. It is a rather modest-sized church of Franciscan chapel style which in its interior incorporates part of an ancient church of the fourth century. This building commemorates the reinstatement of Peter after a fish lunch on the shore.